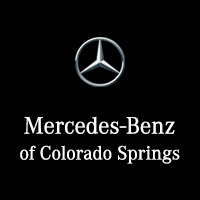 Mercedes-Benz is very proud of their 122 years of racing wins, utilizing all the experience is the SLK. With a signature power hardtop that can open up to allow you to experience the outdoors, the SLK’s passion is openly expressed. Mercedes-Benz has innovated yet again, creating a more powerful engine that uses less fuel to get the same, and better results than before. With an astonishing 241 horsepower 2 liter turbocharged engine in the SLK 300 and a 302 horsepower monster V6 in the SLK 350, you will be pulled back into the seat while accelerating from zero to sixty in fewer seconds than ever before. The rapid-multispark ignition and high-pressure direct injection calibrates on the fly, keeping your engine running in the most pristine condition at all times. All of this power would go to waste if the rest of the vehicle were not built to handle the extremely efficient engine. Wheels that have been staggered, multilink sport-tuned suspension, a highly rigid body and a first of its kind direct-steer system lead to extremely precise handling that provides crisp feedback to the driver and offers surprising refinement. The SLK is easy to live with while romping around city streets, yet eager to eat up a track and live it up! Unfortunately, accidents are an all too real fact of driving on the road and the track. The SLK has raised the bar and leads the way for sports-car safety leadership. Using features such as ATTENTION ASSIST® that is able to detect driver-drowsiness, lane keeping and blind spot assist, the SLK seems to be watching the road even closer than you are and can help avoid accidents. In the event of an unavoidable situation, a ultra-high-strength steel, aluminum and magnesium body, reinforced steel roll bars and eight air bags all work in conjunction to protect you and your passenger. How much horsepower does the SLK have? 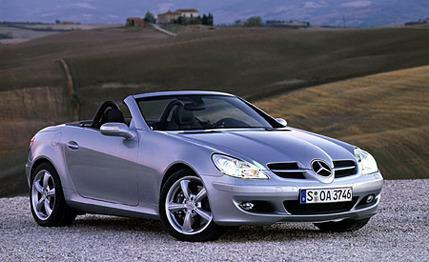 The SLK 300 Roadster has 241hp, the SLK 350 Roadster has 302hp and the AMG® SLK 55 Roadster has 415hp. How much does the SLK cost? The SLK 300 MSRP is $47,000, the SLK 350 MSRP is $59,200, the AMG® SLK 55 MSRP is $72,600. How many airbags does the SLK have? All models of the SLK come with eight airbags.